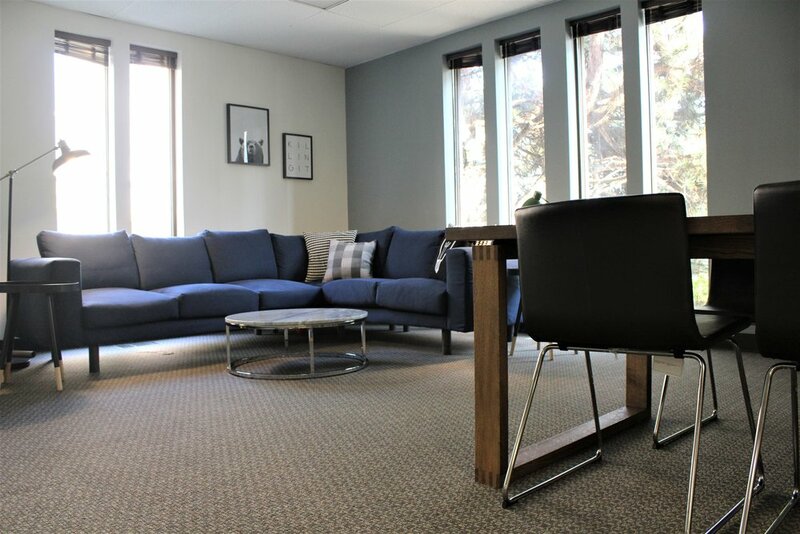 A seasoned insurance agent contacted Happy Vesta to help her renovate an existing office building as she opened her own agency for the first time. 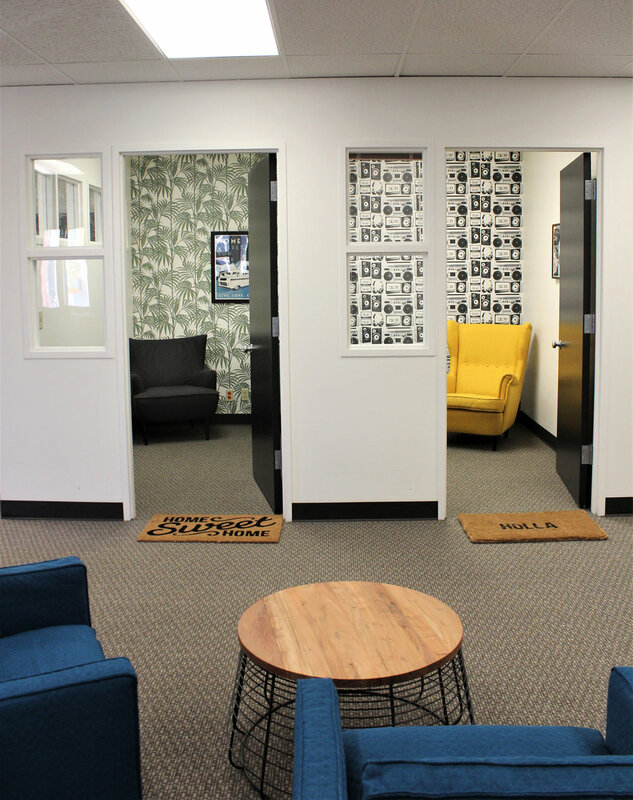 The current space was incredibly outdated and in need of a quick, inexpensive renovation that reflected her fun and playful personality while being a great place to work and meet with clients. 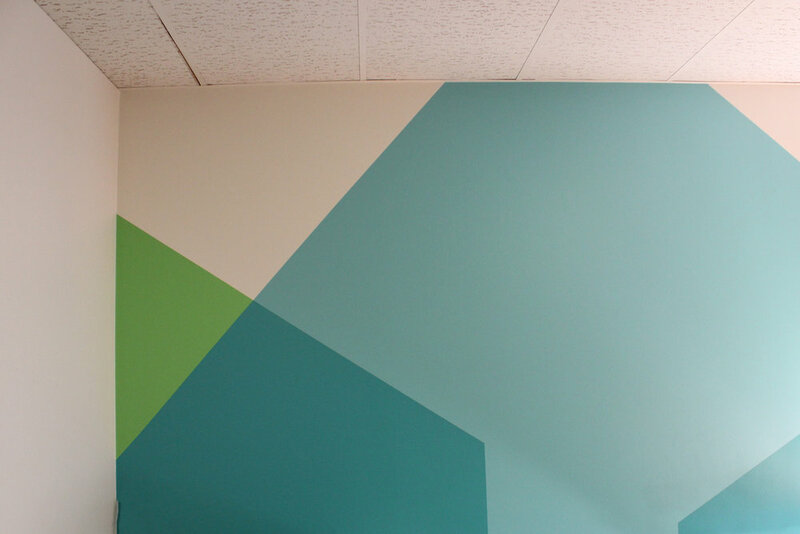 With some bold patterns, colors and creative cost-saving solutions, we were able to completely transform the space into a very playful and memorable insurance agency- truly, it looks nothing like a typical insurance agency, but is a super fun workplace to call her own! 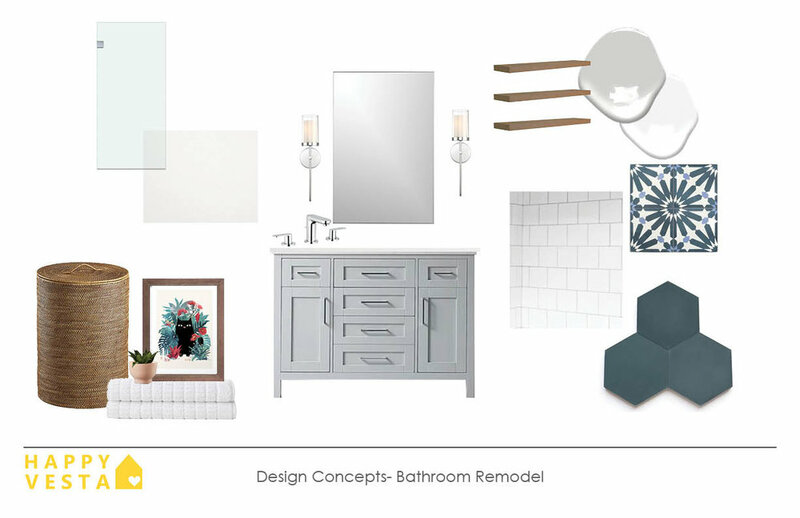 This bathroom remodel for a young couple’s first home was so much fun! Their home is an older craftsman and we wanted to incorporate some vintage, classic touches while creating a fresh, modern look. We used the same bold, blue geometric patterned cement tiles on the floor and recessed niche in the shower. The touches of wood really add some much needed warmth to the space. It’s hard to believe, but this was a dark, dreary unfinished attic- just some old insulation and wood studs. We transformed this space into a second full bathroom (adjacent to a new attic guest room). This space is light and bright, thanks to crisp finishes and a new skylight. We painted a simple bathroom vanity blue to create a much needed focal point and pop of color. In the early days of this smart home lighting tech startup, the owners wanted to create a fun and functional workplace that still met their tight budget and schedule. The design concept for the interior design was "home" in reference to the startup's innovative product. We used residential style furniture, wallpaper and found objects to create a playful, abstracted version of the concept. This young couple’s first home was fairly new, but the dark finishes and drapery needed an upgrade. To help lighten and brighten up their home, we updated the tile backsplash and countertops in the kitchen, replaced the bedroom carpet with hardwoods and painted nearly every surface in the house, including the dark existing doors. Since they were nearly tripling their existing space, we also needed to furnish the entire home and gave their look a fresh, modern upgrade. 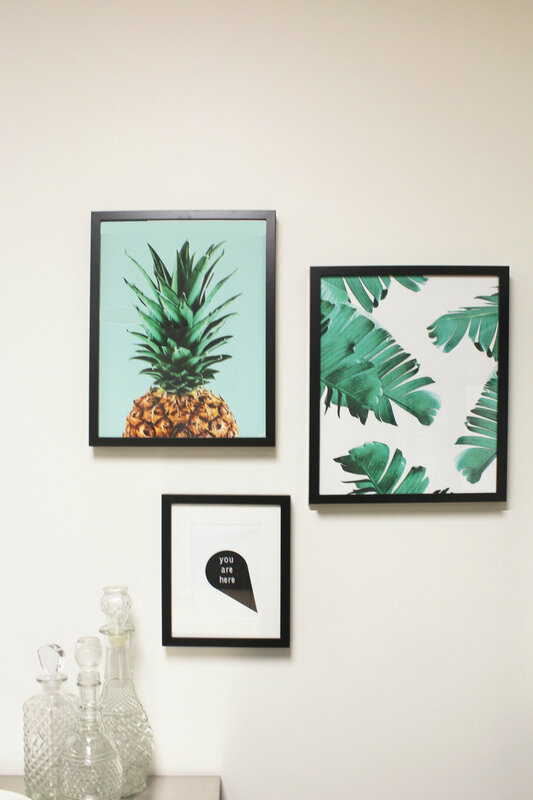 As an interior designer, my home is constantly changing. 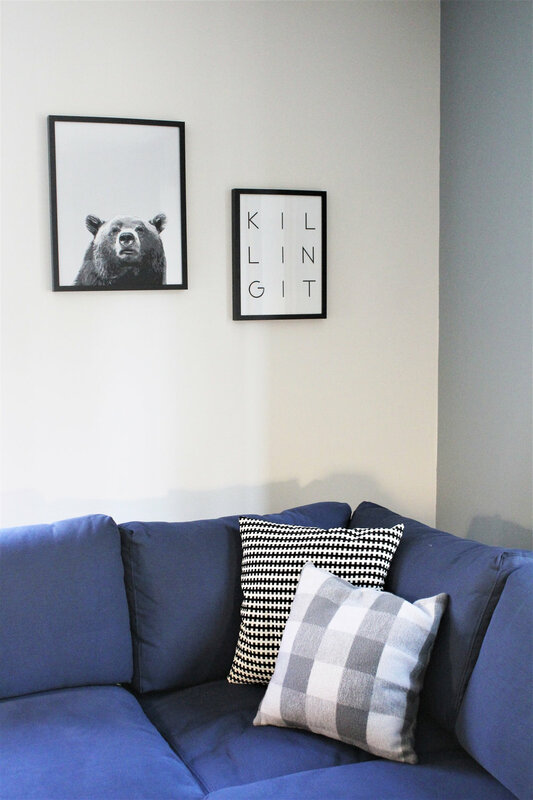 I am often rearranging art, plants and decor, upgrading or swapping out existing furniture and throw pillows, or experimenting with space planning. 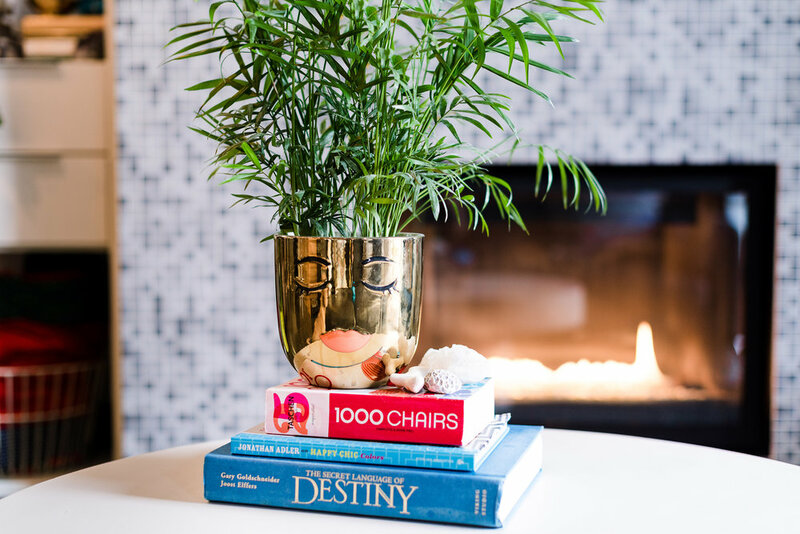 Budget often doesn't allow for much wiggle room, so I have to get creative in order to live in a home that makes me feel happy, comfortable and at home. My home is a reflection of my DIY spirit, my love of mid-century modern furniture, bold colors, thrift store shopping and travelling.